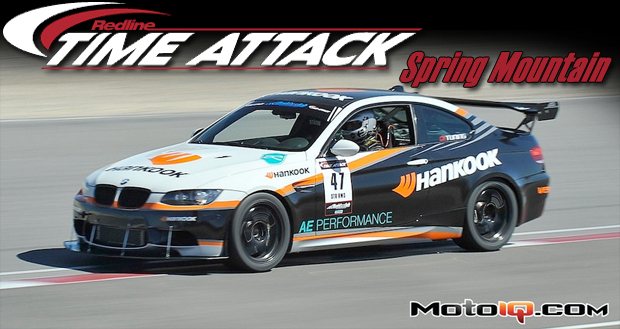 The MotoIQ Staff attended Redline Time Attack’s Spring Mountain stop on the 2010 tour, this time not as competitors but to announce our joint race series the MotoIQ Pacific Tuner Car Challenge at the 2011 season discussion meeting held over the weekend. This was a first visit to the facilities for us and we were pretty impressed by the country club like accommodations of Spring Mountain. This was way better than golf! 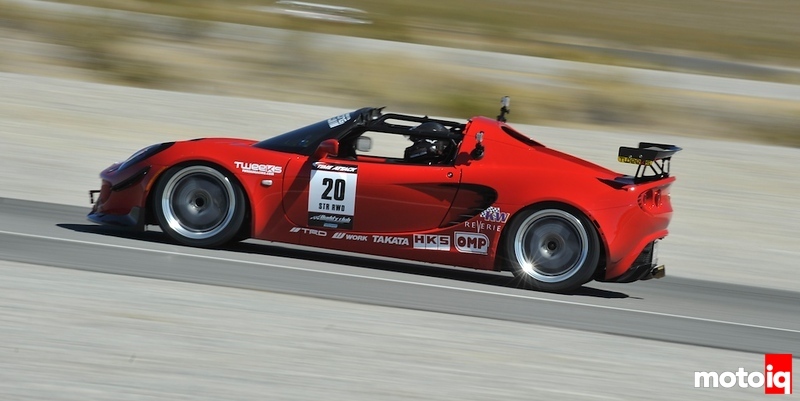 This cool looking Lotus Elise was driven by Joshua Hershkoff. Out in the middle of the Nevada desert just on the outskirts of the town of Pahrump, which we think is mostly known for its lavish fully legal brothels, lies 3.1 miles of winding pavement known as Spring Mountain Motorsports Ranch. The facility is without a doubt one of the nicest stops on the 2010 Redline Time Attack circuit, but it also has a special history as being the site of the first ever Redline Time Attack event back in 2005. 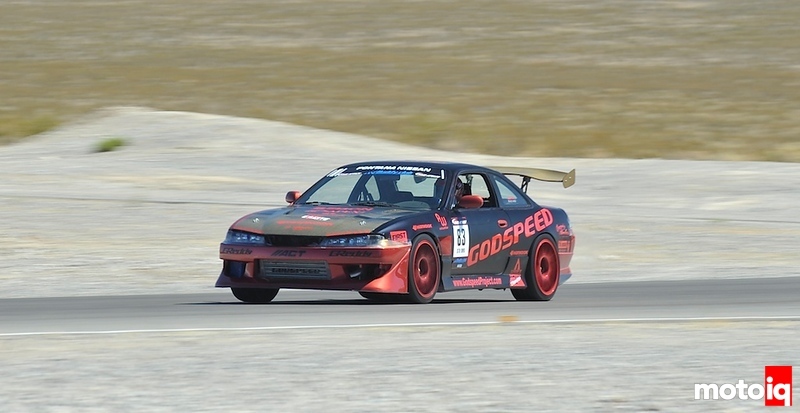 Back then, Tarzan Yamada took the event win in the XS Engineering BNR32 Skyline GT-R with a 2:32. Last year, it was Billy Johnson in the FXMD Acura NSX who emerged victorious with a 2:13. The sport, the cars, and the teams have come a long way since the birth of the Redline Time Attack series back in 2005 and this year the progression continued as track records fell in many of the classes. 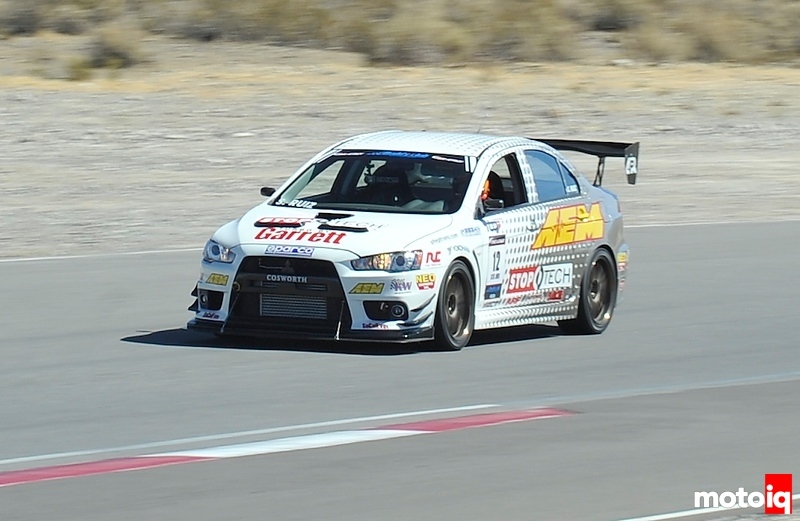 Stoptech’s resident brake genius Steve Ruiz wrapped up 3rd place in AWD Street Tire class. Many of this year’s top teams were in attendance to do battle for the fifth of seven West Coast rounds, but Super Modified Class entries were lacking, having just one entrant into each division. The GST Motorsports Impreza L was the favorite for the overall event win and the lack of entrants in their class didn’t stop them from going 100%. Their usual driver, the G-Stig, whose identity remains a mystery was not in attendance (or so we think), so in her place was hot shoe Gary Sheehan, who drove the GST Impreza all last year. Gary and the GST Impreza L were after the overall event win and they got it with a blistering 2:18.057, just a mere two thousandths of a second off of the Super Modified AWD class record set last year by Paul Gerard in the AMS Performance / NOS Energy Mitsubishi Evo X.
Eddie Lim in the Godspeed S14 earned 2nd in RWD Street Tire Class.